EAW015812 ENGLAND (1948). 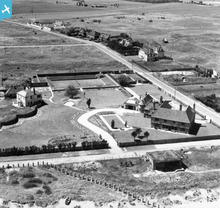 Kentlands and King's Road, Sandwich Bay Estate, 1948. This image has been produced from a print. 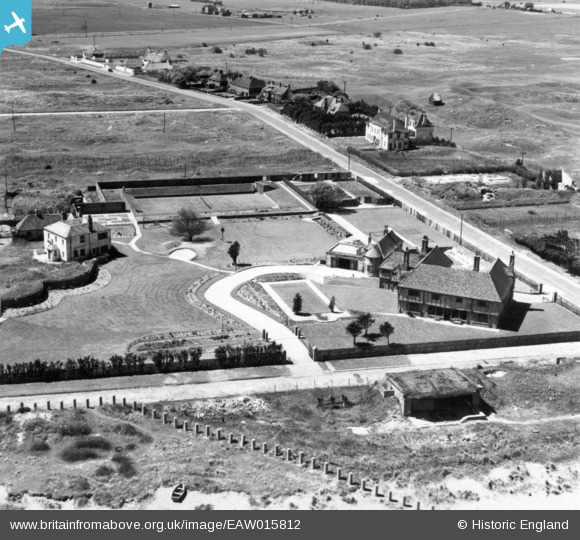 Title [EAW015812] Kentlands and King's Road, Sandwich Bay Estate, 1948. This image has been produced from a print. Golfing Hut or WW2 Pillbox in Disguise? WWII Coast Artillery Gun House.